Our multi-chambered and foam filled frames create high-performance vinyl replacement windows that are engineered for a lifetime of performance. They also come standard with the most energy saving Low-E & Argon glass package available. Our maintenance-free tilt-in top and bottom double-hung sashes are the cornerstone of our industry for cleaning and easy upkeep. Simply tilt the sash in to clean both sides of the glass from the inside comfort of your home. You’ll also appreciate the high-performance features and weather-tight fit of our products that are engineered to be both affordable and dependable. The handcrafted design of our replacement double-hung windows do more than just convey classic beauty…they deliver outstanding strength, protection, and superior energy efficiency. Additional replacement window styles include; garden windows, arched windows, picture windows, transoms, bay windows and hopper windows. Give us a call us today for a free in-home estimate. At West Knox Windows and Siding, we’re dedicated to making sure the job gets done the right way so our customers can enjoy replacement windows that let the natural light in and look really beautiful doing it. 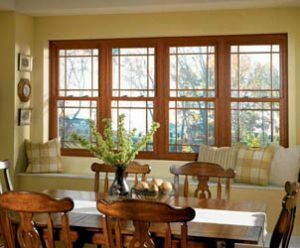 Our double-hung replacement windows are designed to perform and we’d love nothing more than to help make sure that your home has exactly what it needs to look its best. Curious about the window replacement cost in your home? We’d love to drop by and get you a free quote.